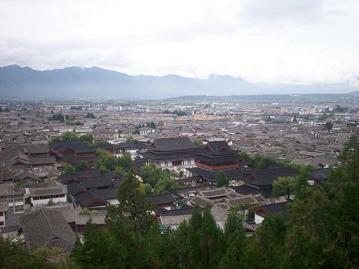 Lijiang is a big city in Yunnan Province (1 million). 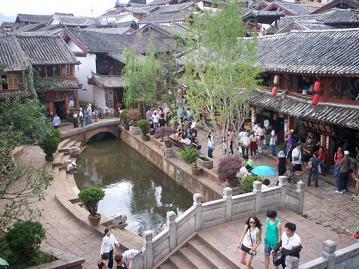 It consist of two parts: a new part and its famous ancient town with old houses, narrow streets and little canals. 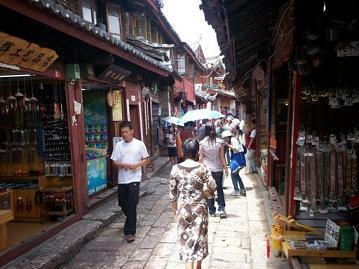 The ‘Old Town’ of Lijiang is listed as UNESCO World Heritage and attracts millions of tourists every year. 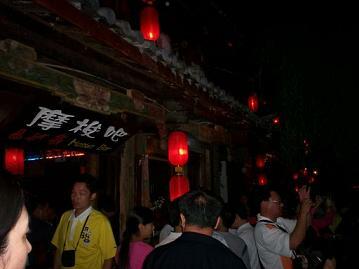 The centre of the old town is Sifang Street. From here start several popular roads such as ‘Bar Street’ and ‘East Street’. In the evening the (house)music is playing loud in Bar Street and waitresses in local costumes are singing and inviting you to visit their bars. In the old town are lots of little stores selling carvings, clothing, leather and painted t-shirts. There are also many budget hotels, guesthouses and restaurants. 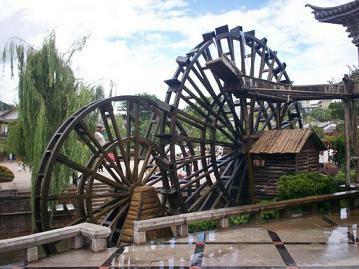 A few local attractions are the Wanggu Pagoda upon the hill, the water wheel, the Mufu Palace and the Black Dragon Pool. Popular attractions outside the city are the Jade Dragon Snow Mountain (15km) the Tiger Leaping Gorge, (100km) and Shangri-la (175km). One of the best properties is 5-star Lijiang Liman Wenzhi No.1 Hotel (292 reviews, 9.2). This small hotel with 15 guest rooms is a 5-minute walk from Sifang Square. Liman Wenzhi No.1 Hotel has often luxury deals with large discounts on the room rates. 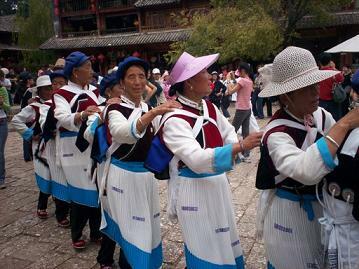 There are buses from Lijiang to Kunming, Dali and Shangri-La. The trip to Kunming takes 8 hours. Fare is 180-240 Yuan. The fare depends of the model of the chair and bus.